Of all the pests Critter Control encounters, snakes probably induce the most fear. When seeking our snake control services, most people want us to remove snakes that might be poisonous. While contracting a venomous snakebite is a legitimate worry, there are many other reasons to use Critter Control’s snake control services. Whether the snake in question is poisonous or not, we’ll deal with it for you and restore your peace of mind. Less than 15% of all snake species are venomous. However, a bite from any snake is painful and frightening. Like any animal, a snake may coil, strike out, or bite if it feels cornered. That’s why it’s best not to undertake snake control or removal yourself. We’ve trained our team members to handle venomous and nonvenomous snakes well before going into the field. They also offer humane exclusion methods and tips to keep snakes from returning to your property. Our snake control services vary depending on whether you’re dealing with venomous or nonvenomous species. 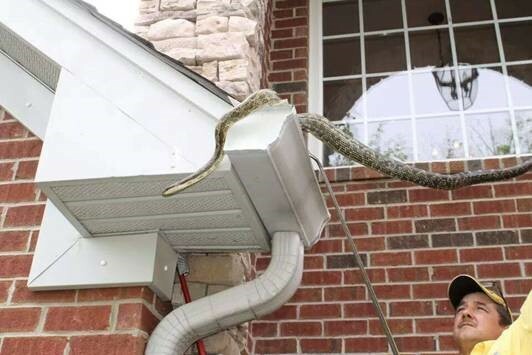 The first step in any snake removal is determining what kind of snake has invaded your home. Never assume a snake isn’t poisonous, and never approach or handle it yourself. Contact us or call the Critter Control professionals at 817-222-1101 for expert, safe identification and removal.